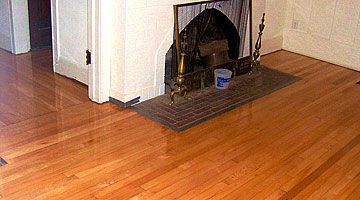 Dedicated to restoring the original luster to damaged and worn hardwood floors. Our priority is to provide our customers with the highest quality product and professional service. Allow us to bring the elegance of hardwood floors to your home. 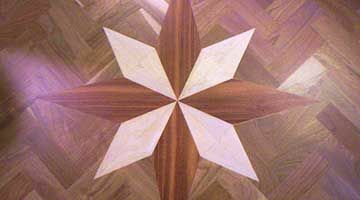 We can create custom medallions for your floors. 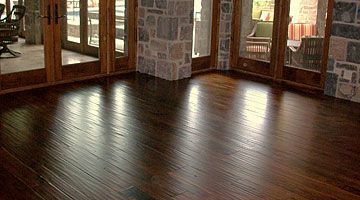 Custom Finish Wood Flooring works on residential and commercial wood floors, whether it's installing engineered, pre-finished, raw, medallions, borders, wide planked,hand scraped, or distressed. We are recommended for a reason! 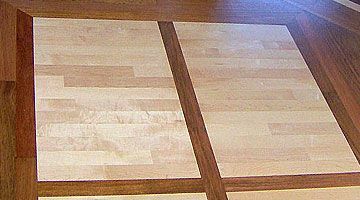 We specialize in sanding and staining to match new or pre-existing wood floors. We can use specialty stains to match almost any color. We prefer to use Glitsa multi coat with hardener, we are also experienced in water based, oil based poly, and tongue oil. We are experienced in many different kinds of stains, including water based. By hand scraping and/or distressing your wood before we install it, we can customize your floor. We also offer on site distressing on a re-sand. Unlike other flooring installers we also provide services to install new base and shoe, caulk, fill nail holes, sand and paint. We also R&R furniture, toilets, fridges, and whole house removal. We sand, stain, and finish stair cases.